This was our second ‘Hippo’ (Hippolais family of Warblers) of the year and a UK ‘Lifer’ for Jane. Yesterday we revisited old haunts and birding colleagues (- hello again Frank!) 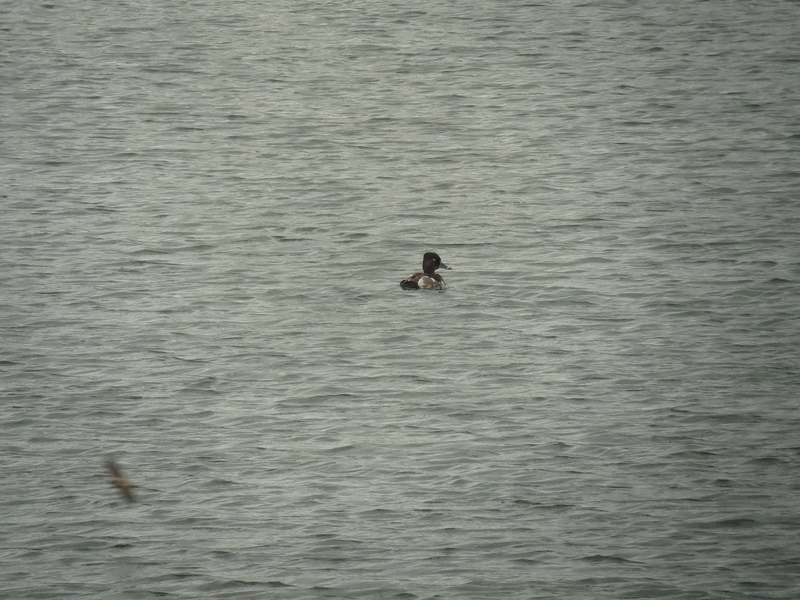 to see a really nice and reasonably close Surf Scoter in Filey Bay, on the Yorkshire Coast. A typical mid-summer species, but one usually found much further north, off the Scottish coast. 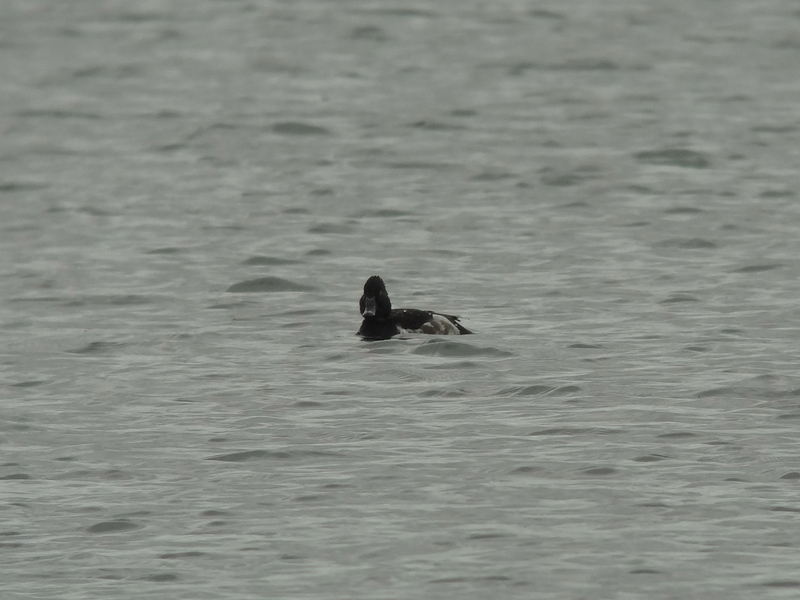 It was in the company of half a dozen Common Scoter and is easily picked out (even at relatively long distances or poor weather conditions) by the rather ‘clown-like’ white, yellow and red beak and head markings. It’s been more than a decade since we last saw this species as part of our legendary ‘Duck trilogy’ trip to Scotland, to visit my brother. 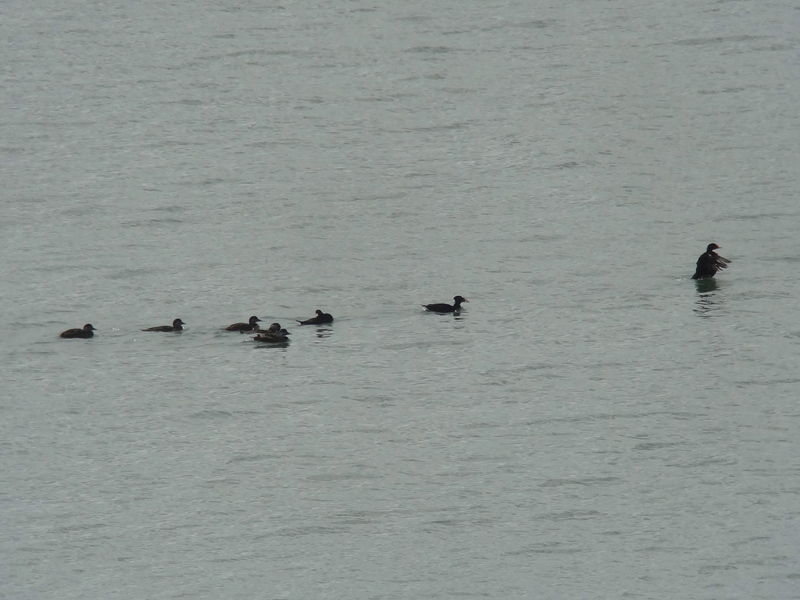 Then it was Surf Scoter, Black Duck and King Eider – now that was a trip to remember! The last of this weeks unusual species was a moulting Ring-Necked Duck – a North American species, at Catterick racecourse. Once we’d found the fishing lake, in the middle of the course, it was a reasonably straightforward matter to study the dozen or so Tufties (Tufted Duck) to spot the odd one out. Since there is a strong resemblance to it’s English cousin, care is needed with the relevant features – domed head peaked at the rear with no sign of a tuft, brownish tones to the otherwise greyish flanks and a white sub-terminal ring around the beak. Ring-necked Duck are an ‘ornamental’ species sometimes kept here in captivity, but genuine vagrants do regularly occur in the UK … and this was definitely one of those!! 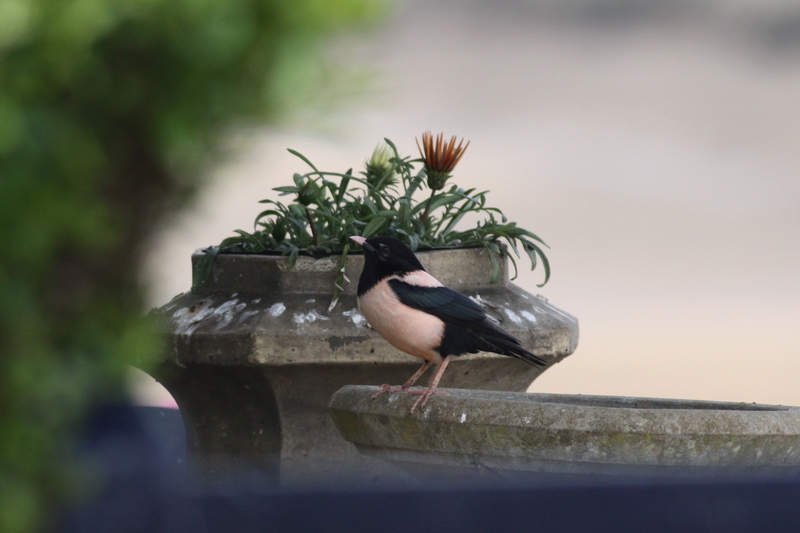 This mornings delight was a fabulous adult Rose-coloured Starling, sometimes rather unflatteringly referred to as ‘Pink Stink’, feeding on fat-balls in a tiny garden, just off the quay at Wells-next-the-Sea. 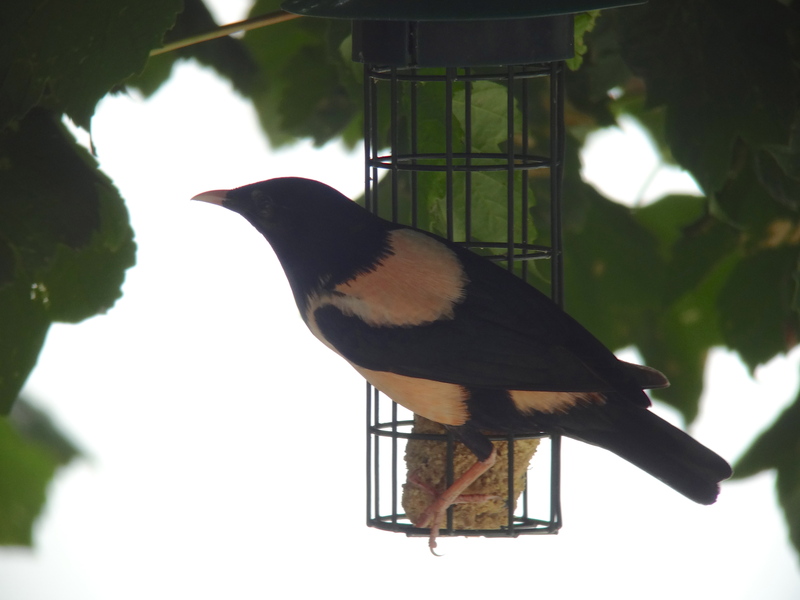 Rose-coloured Starling is an eastern European/Asian species which occasionally over-shoot on spring migration or else find their way to UK shores as dispersing juveniles, in late summer or autumn. 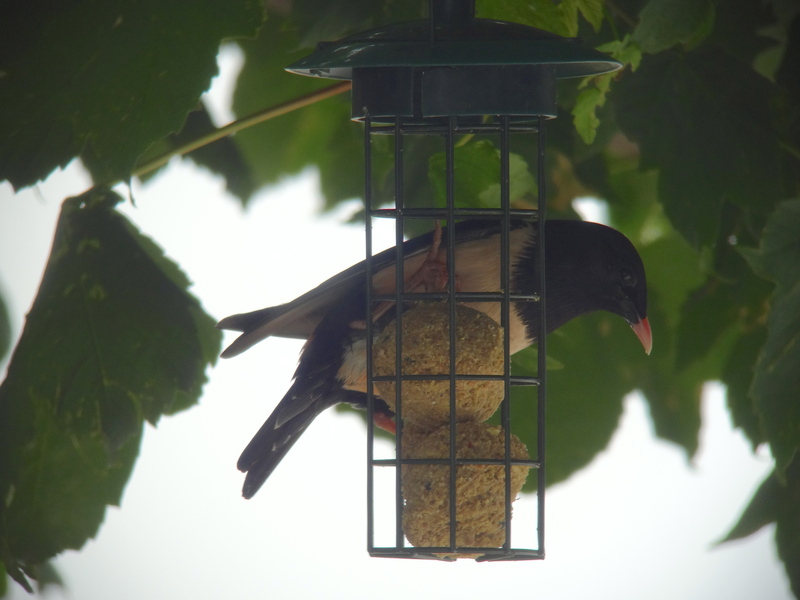 The juveniles are much less eye-catching – basically a pale sandy version of our regular Starlings. 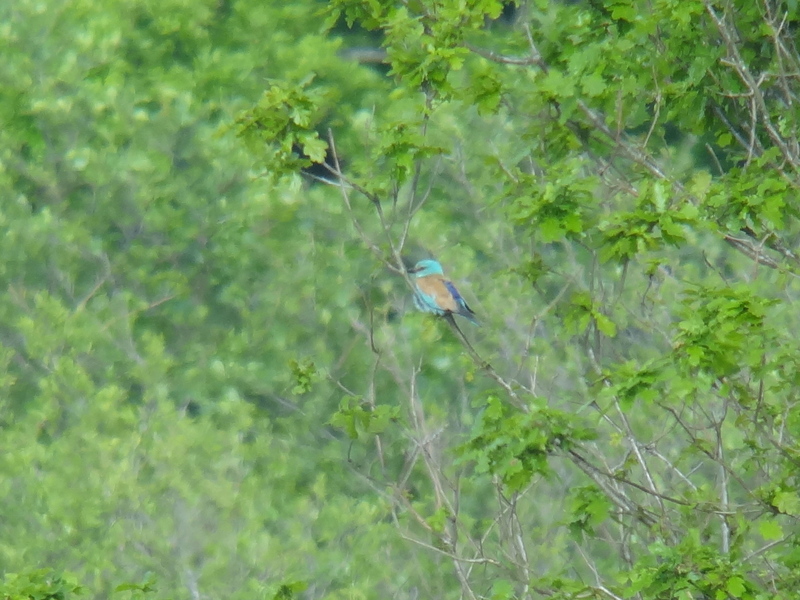 But today’s bird was in as near full breeding plumage as you can get, and ‘boy was it a belter’….. The lovely ‘Rose of (Tralee) Wells-next the-Sea! 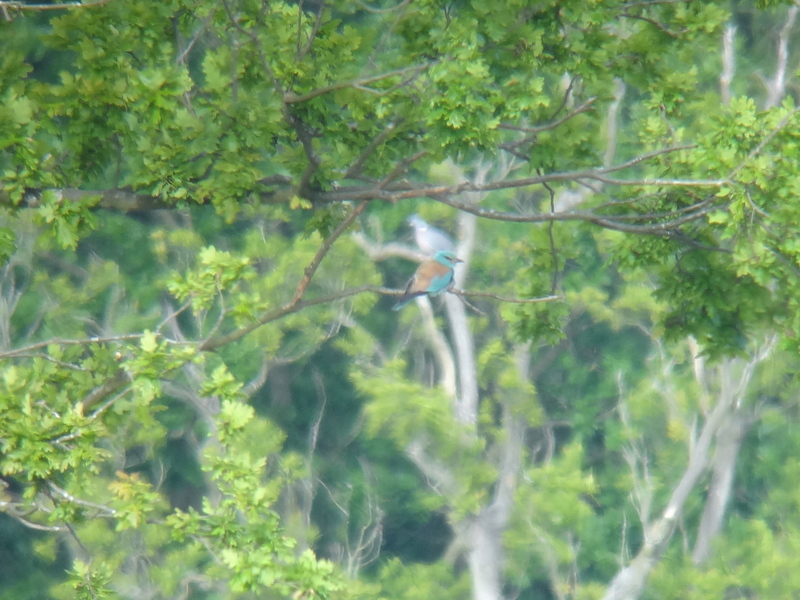 No sooner had we got back from seeing Pacific Swift in Suffolk – a ‘Lifer’ in case you were wondering, than a tentative report of a Roller, five miles down the road, came over the airwaves! Tea was put on hold and we headed in the Holt direction, to the Lowes nature reserve. 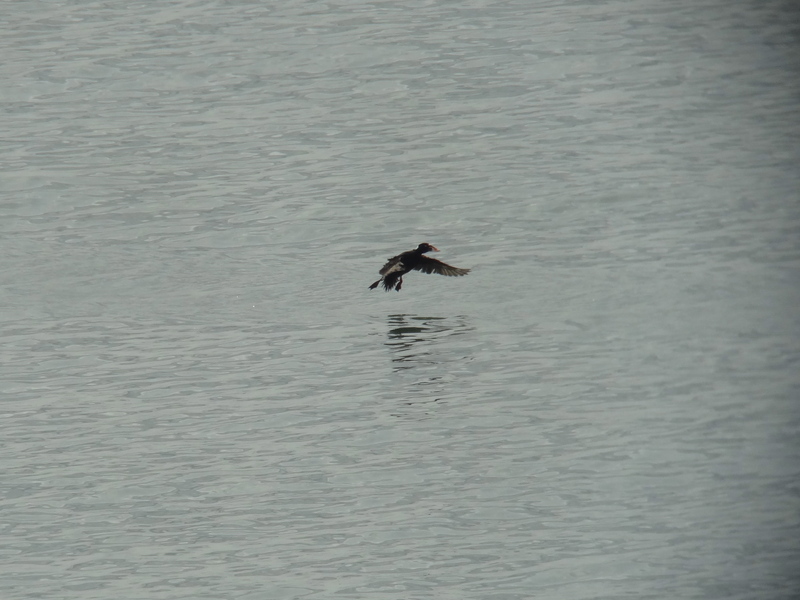 First news was that the bird had disappeared, in a southerly direction, possibly to where it had first been located. 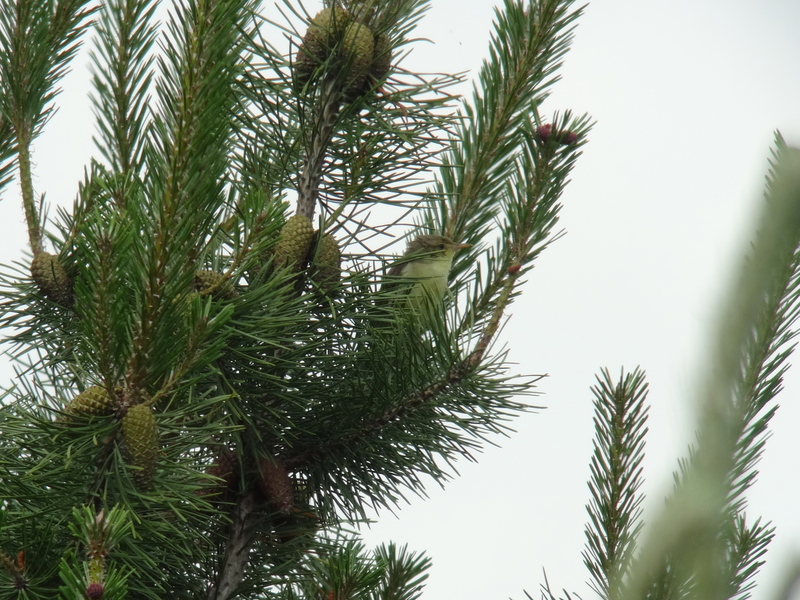 We hung about on the ridge waiting for news until a group to the east of us started gesticulating – we rapidly relocated to where the bird was showing well, if a little distant, in a birch tree. 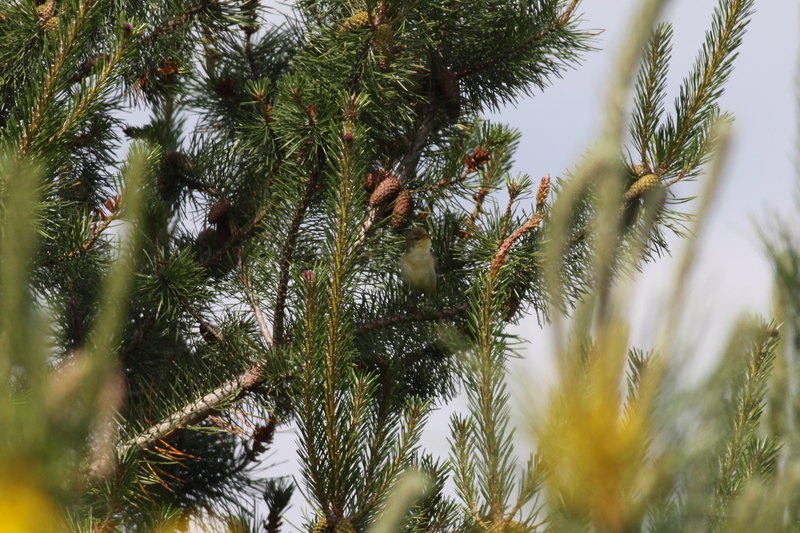 We watched it for about half an hour, feeding and flying from tree to tree, before heading back for a late tea. 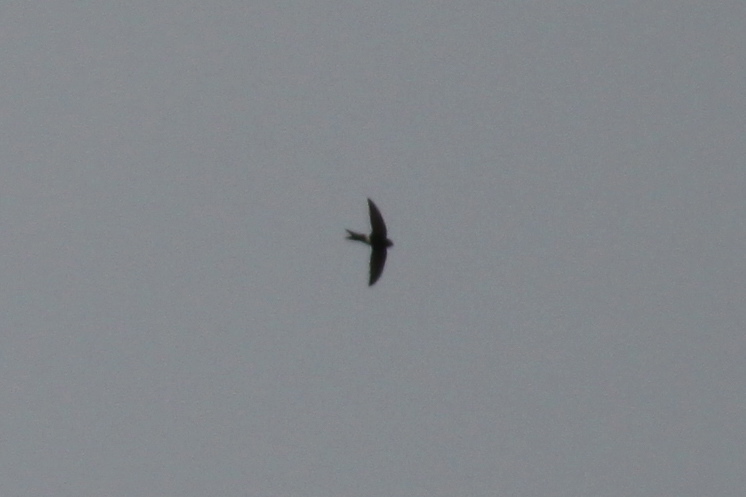 For the last couple of weeks a very rare Swift – I mean a ‘mega’ Pacific Swift, has been touring the English east coast from Suffolk to Yorkshire. Pacific Swift, which breeds from central Siberia east to the Pacific, has only been recorded in the UK on a handful of occassions. Last Wednesday morning the bird flew past Spurn Point, heading south, and was seen at Saltfleetby, Lincs., later that afternoon. 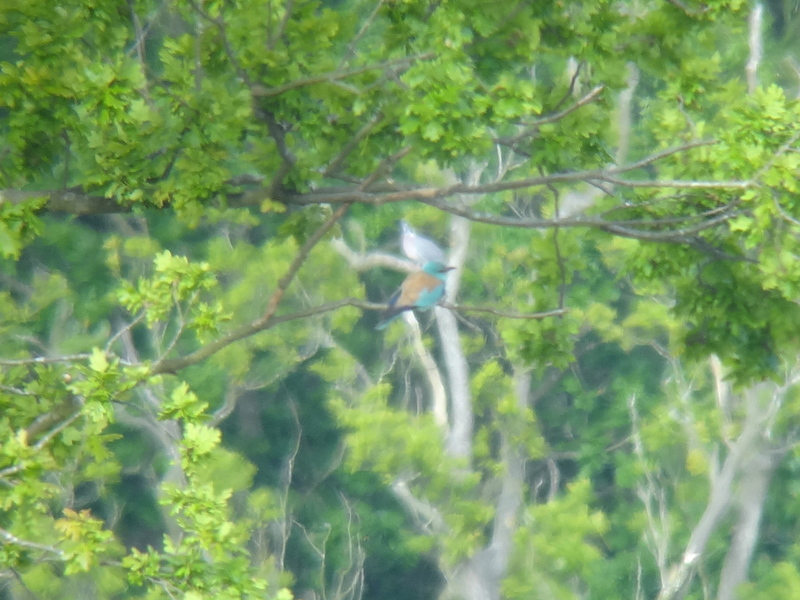 Yesterday it reappeared at Trimley marshes in Suffolk. Much against the odds it was still there this morning so we went for it. 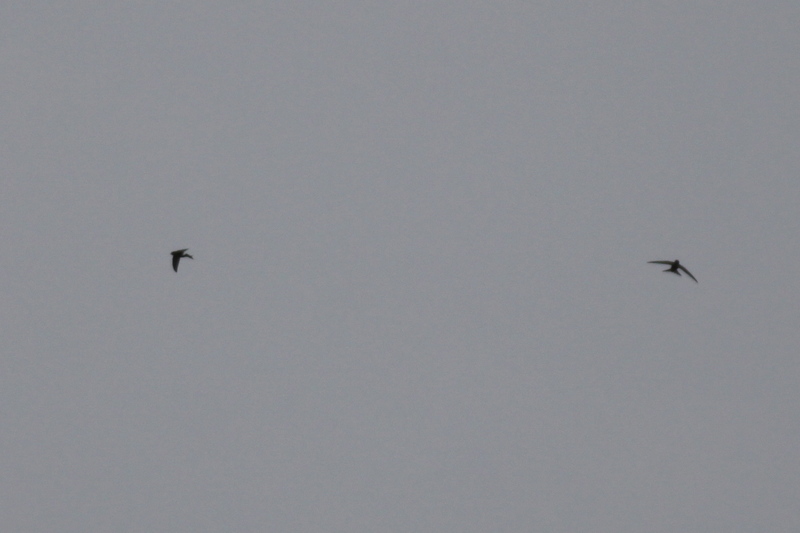 After an anxious two and a half mile hike from the car to the SWT reserve and an hours wait, the bird finally obliged with a reasonably close fly past over the lagoons and then away high over Felixstowe docks and out across the river towards Essex. A very nice Fathers Day present – thank you! 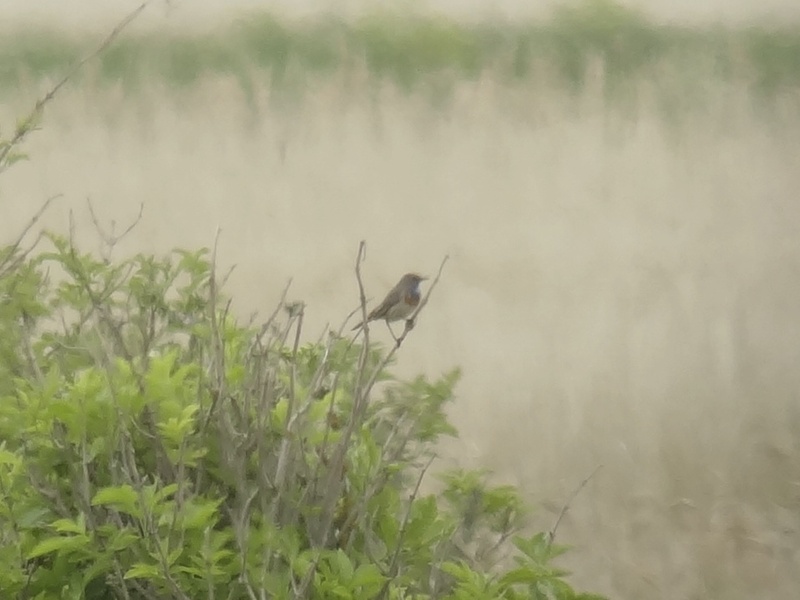 Bluethroat – more like blue knees! This morning we tried for the reported singing Bluethroat along the East Bank at Cley. In our haste I forgot that I was wearing shorts and ‘boy’ did I pay the price during our two and a half hour vigil! There was a noticeable sea fret when we arrived at Walsey Hills and a stiffish breeze was blowing from the north as we walked along the bank. Apparently the bird had been showing five minutes before we arrived, so we were feeling lucky. An hour and a half later, not a peep from the bird and I was getting decidedly chilled. Jane had opted for an ill-timed walk back to the visitors centre for a comfort break when first the Ruddy Shelduck, which has been frequenting these parts for a couple of weeks, put in an appearance quickly followed by the Bluethroat – which sang briefly from a distant elder bush. Jane was, by this time, ambling back down the bank but alas the bird had disappeared into thick cover by the time she reached me! We gave it another hour but again there was no sign. The afternoon was spent in the garden until the Bluethroat was again reported. Twenty minutes later and this time success – a UK ‘lifer’ for Jane.